Extreme temperatures in Canada potentially mean frostbite for unprotected skin. Many people feel the stinging bite of cold, but what happens when our skin stays out in the cold for too long? It is important to keep skin covered up in this kind of weather or trouble can appear in as little a couple of minutes. Andrea Johnson of Action First Aid offers some tips on what to look for and what to do if the skin has become frostbitten. The first sign is the skin turning white on the tips of ears, the nose, fingers and toes. As the freezing of the skin deepens it will begin to take on a waxy appearance. “You will have pain at first and then that will be followed by numbness,” she explains. 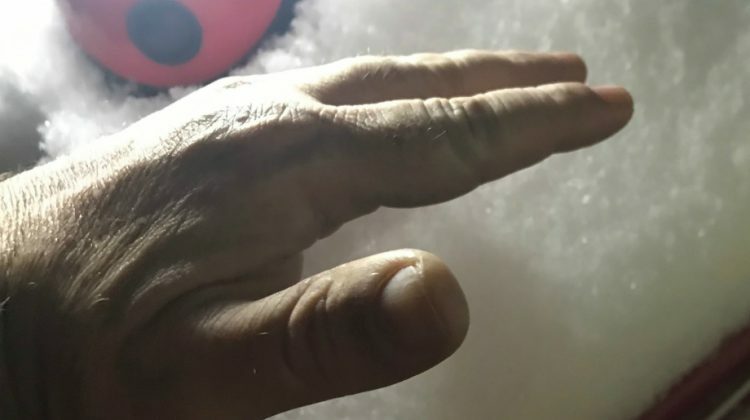 Deep frostbite is when the skin and tissue are actually frozen. Once frostbite has gotten to this stage care must be used in trying to reverse the damage. With that amount of exposure, Johnson says you need to assess the patient to make sure they breathing, alert and conscious. You must resist the urge to get heat to the affected areas. Things like hot water bottles, baths and placing people next to a roaring fire could all be too much and cause extreme pain and further tissue damage. Instead using ambient body heat from a person who is warm is the first step. “Things like rubbing their feet lightly, blowing on fingers and toes, or putting them under armpits or in the groin area will all achieve suitable warming. And the next piece is patience, as it is not a quick fix. It’s also important if blisters have formed to not break them. Covering them with a lint-free gauze bandage is best. “It can take 45 minutes or longer to get the extremities warmed up properly,” she advises. If there has been prolonged exposure that has resulted in blackened skin, emergency medical treatment must be sought and there is a real risk of losing fingers and toes to amputation.